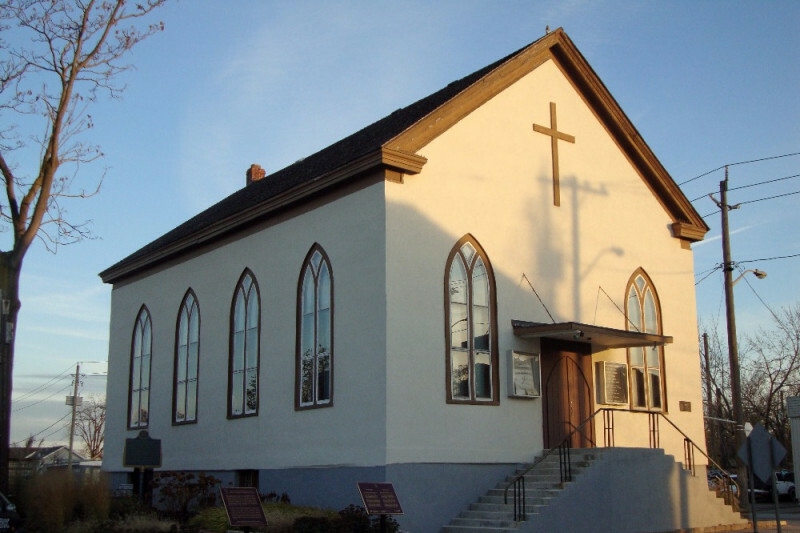 The church Harriet Tubman attended when she lived in St. Catharines, Ontario. What we need is half a million dollars, but right now $100,000.00 will cover the much needed emergency work. One of the least mentioned facts about Harriet Tubman, the famous Underground Railroad (UGRR) conductor is that she frequently crossed the Canadian border in the 1850s. The truth is most of the freedom seekers she rescued from slavery were guided to the small town of St. Catharines, Canada West (now Ontario), which was her primary base of UGRR operations. 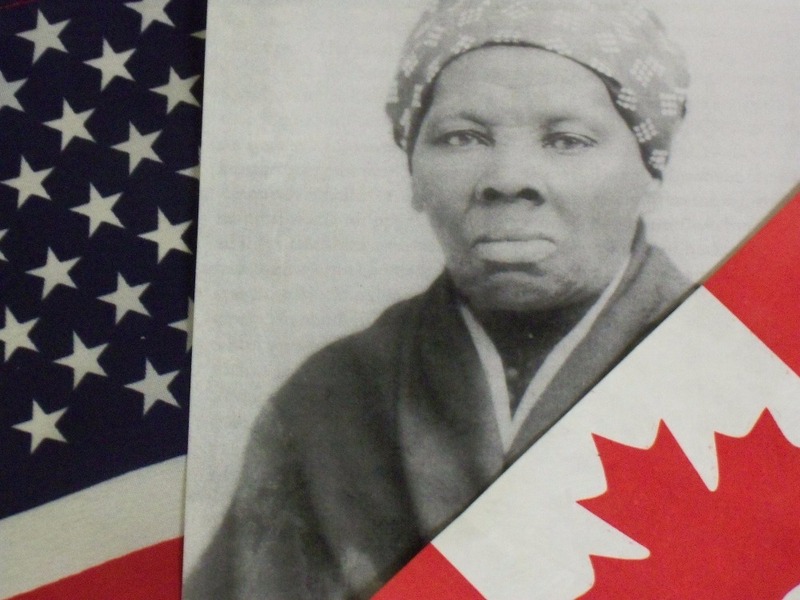 In fact, after the United States government passed the infamous 1850 Fugitive Slave Act, Tubman said, “I wouldn’t trust Uncle Sam with my people no longer; I brought them all clear off to Canada” because she knew their safety and freedom would be secured. Harriet Tubman may have selected the town of St. Catharines as her last stop and headquarters because a network of notable abolitionists, both black and white, declared that the town was the last terminus along the Underground Railroad eastern line. St. Catharines was also a well-known hub of Canadian abolitionists and many were the most respected citizens of the town. Another often overlooked fact about Harriet Tubman is that she was devoutly religious. She was known to converse with God on a daily basis. When she settled in St. Catharines Tubman worshipped at the Salem Chapel, which was then called the Bethel Chapel, African Methodist Episcopal Church (AMEC). Although the Salem Chapel is a designated a National Historic Site and Harriet Tubman is a designated Person of National Significance, the church is privately owned and maintained by the congregation, which is why there is very little or no government funding. The church doors remain open for public worship services thanks to the support of a few local donors and seasonal tour groups. Funding from tourism is enough to pay the bills, but it is not enough to cover the cost of the much needed restoration projects. Today, less than 12 members attend the Salem Chapel. Some are African American freedom seeker descendants whose ancestors attended the church in the 1850s. We, the church Trustees are spearheading the Preserving Salem Chapel fundraising campaign for future generations because we want to ensure that it continues to serve as a religious institution and because it is an important treasure in North American history. Our goal is to raise a minimum of $100,000 by the fall of 2018 because there is a lot of work to be done. The church is located in a very visible high traffic area. We need cable wire or earthquake straps with turnbuckles placed in the attic and underneath the sanctuary floor to secure the 162 year old log frame. We would like the wires or straps in place before the construction work for a new municipal building behind the church begins. We need to replace the deteriorating front door awning and a few weather damaged window sills. If we exceed our fundraising goal the surplus will be put towards; painting the outside of the church, the repair of the exterior and interior steps, the roof gable, lower level windows and the gallery and sanctuary floors. The Salem Chapel NHS stands today to honour God. It also pays tribute to the courageous men and women who aided in its construction and our famous member, Harriet Tubman. We ask for your financial support today to help us restore the Salem Chapel. Your generous contribution of $5, $10, $20, $50 or more dollars will help preserve an important religious historical site that matters. Please note: donations made on GoFundMe will not receive a tax receipt. On the MEMO line of the cheque/check please indicate that your donation is for the “Preserving Salem Chapel” campaign. We thank you for your time and your help. Earl Conrad, General Harriet Tubman, 2nd ed. (Washington D.C.: The Associated Publishers, Inc., 1990) p45-46, 72, 99. Jean M. Humez, Harriet Tubman: The Life and the Life Stories (The University of Wisconsin Press, 2003) p24. ibid, p238. Frederick Douglass, The Life and Times of Fredrick Douglass, Written By Himself. (Hartford. Connecticut, Park Publishing Company, 1882) p329-330. Kate Clifford Larson, Bound for the Promised Land: Harriet Tubman (Ballantine Books, 2004) p151-152, 170. Benjamin Drew, The Refugee: Or The Narratives of Fugitive Slaves in Canada (1856 reprint, Toronto, Prospero Books, 2000), p238-239. Jean M. Humez, Harriet Tubman: The Life and the Life Stories (The University of Wisconsin Press, 2003) p304-305, D32. Kate Clifford Larson, Harriet Tubman: Bound for the Promised Land (Ballantine Books, 2004) p169. Journal of Proceedings of the Fifty-Second Annual Session of the British Methodist Episcopal, June 3rd to 12th, 1908. We are two months over our deadline and as some of you have guessed, we are extending our campaign until the end of April 2019 with the hope of raising the $25,000 we are short. During this time we hope to find a knowledgeable and reliable restorator along with skilled carpenters to repair our front awing and the entire gable in the spring (2019). To date we have repaired our exterior front stairs, which were badly in need of repair. Over the course of this winter season our plan is to work on some of the minor interior repairs and add some cosmetic (paint) touches. We thank you for your interest, support and patience. Fingers crossed. Thanks to generous supporters we have reached one third of our goal. Yeah! The media coverage has been phenomenal. That said, we would like to express our thanks to The Standard, our local newspaper for setting it all off. We also want to thank our Member of Parliament, Chris Bittle, our Member of Provincial Parliament, Jim Bradley and our Mayor, Walter Sendzik and their staffers for all of their support. To those of you who continue to spread the word on social media, we want you to know that your help is are greatly appreciated. Thanks to generous donors we have reached over 15% of our campaign goal. We remain grateful for your support. As you know, this Go Fund Me campaign was created to draw attention to our desire to repair the Salem Chapel. We want to remind you that we are a very small volunteer church group and we apologize for not responding to all of the emails and phone calls we are receiving that relate to the church, Black history, Harriet Tubman, the Underground Railroad, genealogy, our connection to the AME Church, etc. Many of these inquiries require extensive research and or time. Unfortunately we do not have the human power to accommodate or manage all the requests. We have to be selective and manage our time wisely. We certainly hope you understand. We also want to remind you that the church is privately owned. It is not owned by the City, the Province or the Federal Government. That said, we plan to work with representatives from all three levels of government to apply for grants (money) that may be available for our Persevering Salem Chapel projects. The government can’t give us money. We must follow the process and apply for it. Most of the available grant money is “match” money. If a project is estimated at $20,000.00 and we have $10,000.00, we can ask the government to match the money. We will apply for the government grants with the money raised from our GFM campaign with the understanding that there are no guarantees. We also want to report that a few local organizations have reached out to us to suggest that we complete an application and apply for their private funding as well. We are grateful for the out pour of support and thank you in advance for understanding our position. We hope you will continue to tell others about our Go Fund Me campaign and help us raise the money to restore the Salem Chapel. Most of you know that donations made on GoFundMe will not receive a tax receipt. We have received several inquiries from people who would like to support the Preserving Salem Chapel campaign and they would like a tax deductible receipt. To accommodate the donors that would like a tax receipt we have updated our campaign information to include a mail in address. This information can be found at the end of our campaign message. We have also notified our early donors. We thank you for your inquiries, feedback, ideas, support, consideration and for spreading the word.